With the ease of communications, publishing and distributing information using the social Web and that, increasingly, people walk around with a camera in their pocket (or perhaps have a camera in their “glasses”,wristwatch or other “wearable”), there are increasingly powerful possibilities for the growth of visual communications – in conjunction with text and as a stand-alone language of its’ own. Traditional media, individuals and business are all poised to communicate in more visual ways. And, when I talk about visual communications, I am talking about a consistent and coherent strategy around the visual image as a means of communicating about a Company and its’ brands, rather than the simple “snackable” photo add-in to a blog post used to garner attention or a one-off Instgram contest. Moving forward with visual communications for business in the social and mobile context is full of opportunities and poised for more growth. For business to operationalize a comprehensive visual communication strategy there remains some challenges. Some of the current constraints and challenges of visual communications and the social Web are noted in this post as we take a look at the landscape for business efforts. 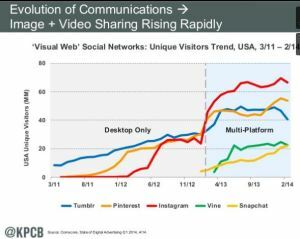 Visual Communications Positioned for Strong Growth: Take a look at Mary Meeker’s Internet trends where mobile smart phone growth continues to be very strong; the use of smart phones continues to increase; visual social networks like Pinterest and Instagram are on the rise; and, photo uploading to the Web has taken off in just the last year or two. 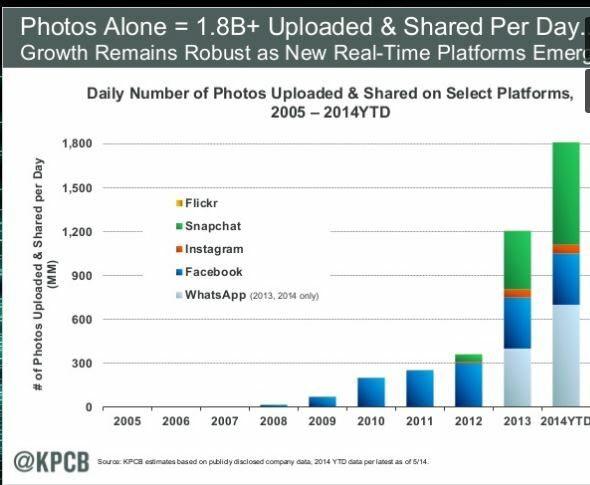 The “Digital Universe Information” growth is +50% in 2013. Two-thirds of that content is consumed, created by consumers including video watching, social media use and image sharing. It is estimated that a billion cameras were added to smart phones and tablets in 2012. Last year camera sales dropped 17%, yet the number of photos on camera phones increased 27%–people don’t need to know how to focus or expose or use an f-stop to produce and share photos from the camera in their pocket, with them at most times. Some of those photos are commentary about business and brands. On the social network front, three social networks are devoted principally to visual and/or visual mobile postingts: Pinterest, Instagram and Flickr. One might add Tumblr to the list. 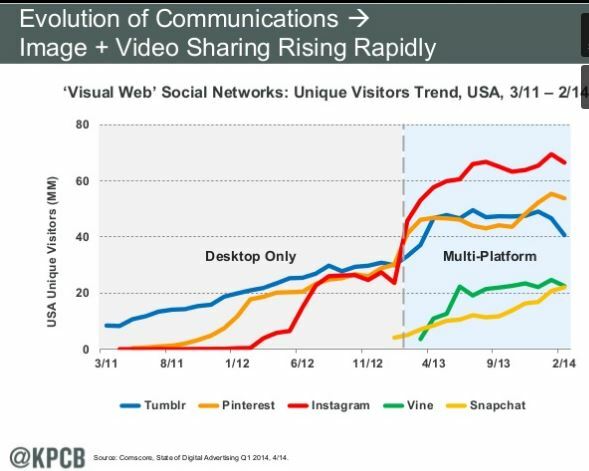 And, of course, Twitter, Facebook and Google+ are about more than sharing photos, but they too, are all playing in the photo field As noted in the chart from Mary Meeker’s Internet trends, Pinterest and Instagram have been experiencing especially strong growth in visits to their site. In a report for Social Media Examiner “92% of marketers indicate that social media is an increasingly essential tool, there is also a growing trend towards using (or planning to use) visual content on more traditional platforms such as Facebook and Twitter. Additionally, there has been an uptake in marketers using visually based platforms such as Pinterest, YouTube, and Instagram.” More seasoned marketers and marketers who are using more social media are especially turning their interest to opportunities on Instagram and Pinterest for focused visual marketing efforts. Is it Real: “Truth” in photography is not a new issue. The art critiques of photography have always referenced the issue of what the photographer chose to frame and shoot versus what is left out of the picture and implications for veracity and “truth.” In more modern times, we have seen magazine covers “photo-shopped” raising questions about the manipulation of photographs for subjective reasons. 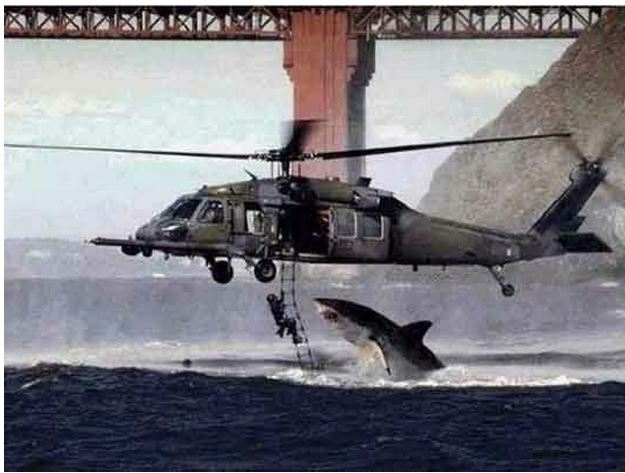 In the world of the social Web, with an influx of visuals from anywhere and everywhere, how do we know that the pictures in our newsfeed of a shark or swirling tornado are real? Has it been manipulated to drive clicks? Is it manipulated to engender a specific feeling or opinion? There is a solution for questions of truth in photography through the truth equals verify method. Dr. Hany Farid, a computer science professor at Dartmouth College with a reputation in the field of visual forensics, has invented a free, do-it-yourself online image verification service. He is also the chief technology officer of Fourandsix Technologies Inc., which introduced the service, Izitru. It enables anyone who posts images online to prove that they are authentic by subjecting them to forensic tests to produce a “trust rating” for all viewers to see. Searching Images Can Generate Surprises. While the Social media examiner report points out that Business-to-Consumer marketers are more readily adopting visual efforts in social marketing than Business-to-Business marketers, I have a little story for the B2B crowd. Around the same time as we got the original assignment to go out on the Web and start responding to bloggers and figure out a path forward for Dell (2006), I also joined Flickr because of my own interest and pursuit of photography. If I was going to be social on the Web on the job, I might as well adopt more of it in other aspects of my life too. IT professionals (and the B2B sector generally speaking) are human too – and the people who run a server farm or care about your information technology at work share their pride in their work like anyone else. In this case it meant sharing really really nice photos of things they work with. Customers take pride in their decisions and share that with others. Sometimes that is just an image but quite a powerful one and there to be found. While social networks may have certain demographic and character traits, don’t underestimate that people are people. For example, a CIO might be checking business things out on Facebook at the same time as they connect with friends, and their connecting with friends may include pictures related to their recent success at work. The quality and interesting perspectives of these images was amazing. Server racks and lights flashing made for some really beautiful “product shots”—competitive with many of the company product shots. Visuals and Visual Context Are a Commentary about Brands: While a marketer may not have the time or tools to sift through thousands of photos, obviously customers posting images of brands say something about the brand. A broken product may be commentary about a delivery service; the use of a product in a particular situations demonstrates utility; and a new box with a brand new shiny product may show a happy, proud and satisfied customer. Whether your business responds in each of these situations may also provide commentary about your company and its customer relationships. Andreas Stavropoulos, a DFJ Partner, recently posted on his blog, “Questions like “What’s the relevant part of the image?” and “What’s the implied intent of the user behind the search?” are very difficult to answer with just visual cues.“ This sounds like some of the difficulties of language search and efforts to better understand and classify sentiment. Here is an example, take a look at the photograph in this New York Times story—there is a cigarette package, beer and liquor brand, as well as miniature New Orleans Saints helmets. Visual search may well identify the brands. However, without understanding the context, it would be a huge mistake for these brand to try and jump in on opportunities related to the image. Read the article. You will understand. Even if a visual is tagged, the tag may not include what is relevant to a brand. For example, the tag #myvacation on a photo where the photo also includes the resort where I stayed and drinks I was enjoying. The resort and beverage brands are neither implied nor tagged. 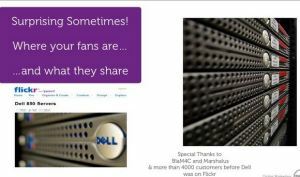 In this example, the customers who created and shared a visual communication about two brands remains un-findable for brands who are keen to either understand visual commentary about their brand or looking to interact and engage with fans and advocates (or detractors) who are sharing visuals on the social Web. A company like GazeMetrix can help business as it identifies brands and logos out of the pixels of an online image. Visual Search, Object Recognition and Auto Tagging: Rather than just depend on visuals being tagged appropriately by users, Flickr/Yahoo has moved to actual object recognition in searches, automatically generating tags from things it recognizes. “Is there a cat in your picture, but you didn’t tag it cat, or bother to tag it at all? No problem, Flickr’s new search will see the cat and transparently add a “cat” tag, surfacing it in search results.” Facebook has its controversial facial recognition software. Pinterest has its own solution, an internal system called Rich Pins. 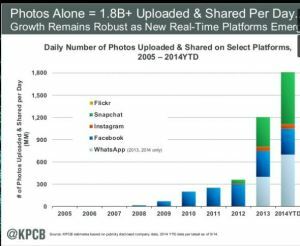 Twitter, Yahoo, Dropbox and Pinterest have all recently made acquisitions in the computer vision space with a view to offering better search of their sites and information to business about the content and context of images. The granddaddy of visual search, Google, recently announced that it uses computer vision and machine learning to let people search their own photos for things like sunsets, food and flowers. It also acquired Jetpac to give additional context to visual searches. In the last few days, Google announced that its’ researchers developed an advanced image classification and detection algorithm called GoogLeNet — which is twice as effective than previous programs. For a detailed understandiing of this from the Google Research team see this post. Curalate uses a technique called “pixel recognition” to literally identify images on the Visual Web by their pixel makeup and it offers a suite of Visual Web analytic tools. Piqora is one of the pioneers leading efforts towards a visual web marketing suite for enterprises. 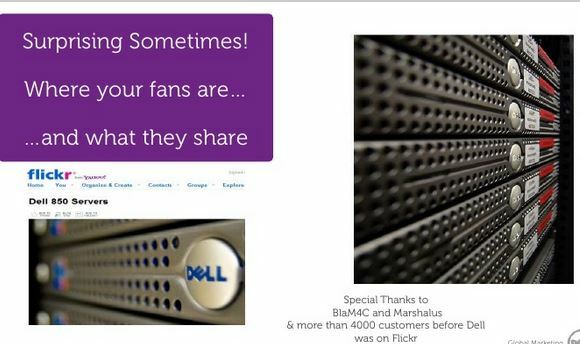 Superfish utilizes image to image search to make visual search more accessible to businesses. Ditto has a proprietary visual recognition engine that discovers photos with brands and makes those photos actionable for marketers. Chute works with brands and publishers to use visual media and user generated visuals. It is a visual marketing automation platform that helps discover, organize, obtain consent and publish fan photos and video. Slyce offers to connect business with customers at the point of “inspiration”, and that includes a variety of customizable services for visual search needs. They also seem to focus on retail experiences. Engaging with Visual Content about your Brand: Much like text commentary about brands, businesses want to know what is being said about their brands on the Web. Scraping Web commentary can point to emerging issues and potential crises. 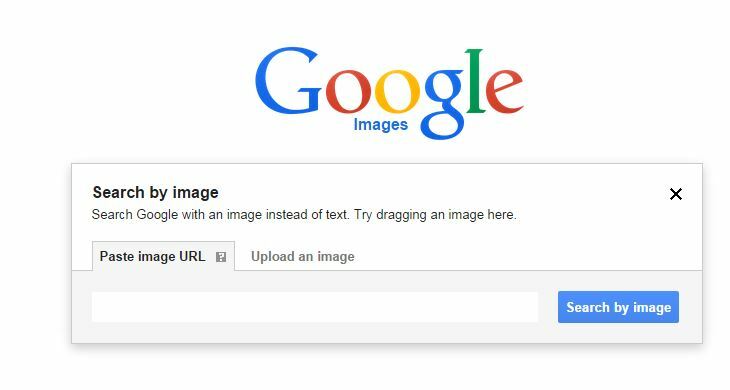 Text and images posted to the Web are opportunities to engage with customers — either by sharing a business’ branded content or by connecting with customers who are using their own content to deliver commentary about a brand/business. While there are opportunities to “surprise” and “delight” advocates, or the chance to make things right with detractors, with respect to visual commentary about business, the path to a workable, scalable and meaningful visual search solution is still in the works. By adding context and analytics to the mix of visual search and combining that with marketing automation, visual communications becomes both more practical and scalable as an important tool for businesses. For now, think it is fair to say that businesses looking to embark on social-visual communications “programs” will require separate vendors and initiatives rather than being able to roll content marketing (whether it is text or visuals) into a single effort. Also worth noting, that I found little to date about the identification of visual “influencers” related to a brand and its monitoring of visual commentary about it (although there are individual customer stories, see below). User Generated Imagery: In some cases, photographs by customers may be more compelling than your traditional photography assets. For example, social media agency Laundry Service measured the performance of marketing campaigns that it developed using “organic” Instagram-style photos — defined as a non-glossy pictures shot outside of a studio — and found that they performed far better than their traditional-looking counterparts. User generated content in visual communications may lead to whole new approaches to how you source and use photography in your business. In addition, there may be opportunities to explore the linkage and “co-partnership” of customer generated content with high profile photographers who are active on the Web or already working with a business. Imagine a brand advocate having an opportunity to go on a photo shoot with a well known photographer who already does work for the brand, for example. Looking Ahead at Business, Visual Communications and the Social/Mobil Context: The focus on visual communications in a social and mobile context is still in the early stages. However, it is taking off quickly and now is the time for business to be thinking about what its overarching visual communications strategies should look like. Business and a Visual Communications Strategy: One-off program initiatives on Pinterest and Instagram are great starting opportunities. However, visual contests and use of hashtags on Instagram, for example, are far from being a coherent visual communications strategy for your brand. The simple use of image bank photos in conjunction with content marketing efforts is also not a thorough approach to your business having a coherent and strategic approach to communicating in a visual world. The overarching business/marketing/brand strategy for visual communications should be on the roadmap as teams look to the future of Communications and Marketing programs. How is your brand or business want to reflect itself visually? Will your business want visual communications initiatives across social platforms to be coherent and consistent or are you thinking visual communications programs on one social network are for a specific purpose and can be independent of overall visual priorities? Do you have the visual assets, talent and understanding of some of the important differences visual communications requires? Is there alignment across functions to ensure that visual communications about your business are coherent and true to the brand? Where does the customers’ visual commentary fit into your overall plan? Effective visual search is a critical building block to have in place both for more visual mobile uses/apps, as well as for business to be able to effectively scrape the social Web and understand visual communications by their customers. Visual search is also key for perfecting how we might someday shop on mobile phones. Some predict that really effective visual search is three years out. However, clearly progress has been made on specific sites (Instagram and Pinterest) where focused efforts are more easily deployed and context narrowed by the use of hashtags and/or mining related text. A comprehensive and integrated social media content marketing software that broadly covers the Web from both a visual and text perspective is obviously further out than 3 years. In the meantime, Game On: But business is not waiting for these technology perfections. Brands and businesses working with some of the visual search/analytics/and software vendors noted above are succeeding in creating and/or engaging with visual communications in specific and targeted efforts on sites such as Pinterest, Instagram and Tumblr. Likely many of them with key learnings as they go. Background: To date, this series of blog posts about visual communications has explored the use of visuals both as an augmentation to text, as well as implications for communicating with visuals on their own. Our minds process images differently; our memory recognition of visuals works differently; combining visuals and words must take in account these factors to maximize understanding; visual repetition can have a different affect than repeated text or language. The use of images demands a visual literacy or understanding before we can formulate coherent visual communications strategies or move to sophisticated visual story telling. The growth of visual communications is going to be about much more than visuals as snackable content to draw attention.